Former Attorney-General and Minister of Justice, Mr Martin A.B.K. Amidu has issued yet another treatise shedding light on what may be termed the ills of the Mills administration. The statement is directly replying his critics and explaining his stance on critical issues - both in the past and now. Read below the full statement issued by Mr Amidu. The purpose of this statement following immediately after my opinion of 28th May 2012 stating that the President’s executive judgment in the matter of the Supreme Court decision in the case of Okudzeto Ablakwa and Omane-Boamah against the Attorney-General (Jake Obetsebi-Lampety voluntarily applied and was joined as additional Defendant) is to answer the accusations and spins on why I am not directing my criticisms in-house to the Government or the NDC. The Government spin since I left office has been that I am a disgruntled smokescreen being used by the NPP against the Government. I assumed that the confidential and trusting relationship that existed between the PNDC, NDC1, and NDC2 and its appointees in open and frank criticism of policies and conduct of in-group members still existed in the President Mills Government. Several happenings in the present Government made me to realize that honest and sincere criticisms have the appearance of being accepted only for schemes and plans to destroy the integrity of the critic to be hatched. (I will skip giving the several examples). By my nature I just cannot refuse to give my honest and sincere opinion on a matter should anyone ask for it. It was in these circumstances that the President demanded a written report from me as the Attorney-General on the afternoon of 23rd December 2011 after his press interview with Radio Gold. The Deputy Attorney-General had written that the Government had no defence to the action that was why it settled. He is still at post. I had discovered a letter dated 9th December 2010 which gave the appearance that the Attorney-General’s office ordered the payment against the President’s instructions. After studying the available file on the Woyome case I discover to my disappointment that there was no contract and there could not have been a contract upon which to ground a cause of action and locus standi in the plaintiff against the Government. Secondly at the time the plaintiff filed his writ there was no written and signed settlement agreement between the plaintiff and the Attorney-General let alone for it to be filed in Court. Yet the plaintiff’s claim was upon letters from the Attorney-General to the Minister of Finance to pay the plaintiff. Consequently, in a preliminary ten page report to the President in my letter D45/SF.173/10 dated 6th January 2012 I stated professionally what I had discovered, including the names of each person I suspected to be implicated in the case. The letter was copied to the Chief of Staff and the National Security Co-ordinator. The NDC press, however, continued to attack my integrity to the enjoyment of the Government and Party. I, therefore, decided to tell the public in my press release of 11th January 2012 of my perspective so that I am not hanged without being heard. In a reliable and trusting association or group where the ideals and purposes of the association or group are respected and obeyed no group member ought to use any outside channels to address or correct in-group mistakes or wrongs that are likely to affect the objects of the group. But where the leadership in the association instead of taking criticisms in private in good faith, spins the criticism to within both the group members and to the public to discredit and defame the genuine critics, conflict studies and resolution theory and practice grants a right to put the association back to its original ideals through sub-group and public tacit bargaining. If you were just a pretender who joined the group for other motives than its objects, then you just leave the group. If you are really a committed member of the group’s objects you do not leave it to those who are breaking the ground rules of trust in accepting genuine criticisms but use every means to return the group to its original objects to achieve the cherished principles and ideals. On the 12 January 2010 the President invited me to his office for a meeting on my press release in the presence of others. We agreed that one other and myself were to workout a solution. Then from no where the President calls me at 7.05 pm the same day to meet him in his office with Mrs. Betty Mould-Iddrisu the next morning. I attended the meeting with Mrs. Mould-Iddrisu at which there were others present. It was in the course of the meeting of 13th January 2012 that I told the President (citing examples) that he had been interfering in the execution of my functions as the Attorney-General under Article 88 of the Constitution and, therefore, I had resigned from his Government forthwith. I asked for permission to leave to submit my formal resignation letter to him within one hour. I was told to wait because the meeting had not concluded. The meeting was later adjourned to 3 pm to enable Alhaji Mahama Iddrisu, Capt (Rtd.) Kojo Tsikata and other elders of the Government and Party to join the meeting. Initially I said that after my oral resignation, I did not think I could be obliged to attend the 3pm meeting and that I would rather I sent in my resignation letter. I changed my mind from not attending the 3 pm meeting upon persuasions from two of the persons present both of whom I considered very good friends, (one of then in addition to his age I had great respect for when we worked together when I was a PNDC Deputy Regional Secretary). 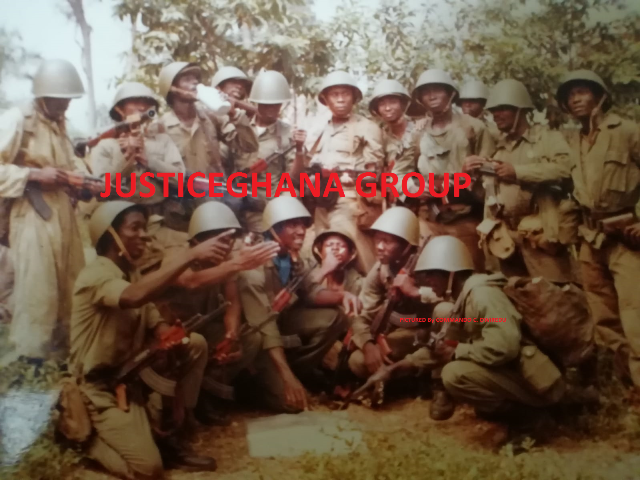 When I returned at 3pm I waited until about 3.30 pm when a very respectable former Member of the PNDC and mentor came from the President’s office and took me to the conference room for a discussion and persuaded me to go to the Court and retrieve the GH¢ 51million for the Republic of Ghana. This was an old man who has mentored almost every former PNDC appointee and how could I have refused his plea to rescind my decision not to work for the President again, particularly when he had authorized me in very strong and assuring words to go and collect the money for theRepublicofGhana. He asked me to go straight to my office to begin working on the case and that I did not need to go back to the Presidency as he would handle that. It was upon this understanding that I got my staff and myself to start working from that evening of 13th January 2012 through Saturday and Sunday to have the application for amendment filed on the morning of 16th January 2012 for me to attend the Court that morning. On the night of 15th May 2012 my old mentor confirmed that the President had agreed to my going to the Court the next day in person to argue the case. I was in Court in person and the Statement of Case together with the accompanying application and my single minded determination to retrieve the Gargantuan GH¢51 million for the Republic of Ghana is now known to all. The opponents of the case within Government panic at my efforts and put pressure on the President. I never saw the President again to date. So on the morning of 19th January 2012, three days after I went to start the process of retrieving the money, the Daily Graphic, a Government mouth piece, falsely published that I had gone on my knees at the meeting of 13th January 2012 to plead not to be dismissed. It was also falsely alleged in other NDC newspapers that I failed to mention the names of Ministers I had made allegations against in my press statement. Mahama Ayariga and Felix Owusu Kwakye and others were on air the same day stating that I either had to mention those involved or would be dismissed. How could one blame them when they were not privy to my official interim report to the President dated 6th January 2012 in which each person I suspected to be implicated was named. It would have been unethical for me to have put names in my press statement when the President had also announced to the whole world that the Economic and Organized Crime Office was to submit a report to him on the same matter. They had been fed false and “spin” information from the Castle. At 12.55pm on the same day 19th January 2012 the President sent a special bearer to me in my office with a letter in which he stated that he had relieved me of my post as Attorney-General with immediate effect. I had been in Government for over 21 years and knew that in spite of the persuasion by my old PNDC mentor and another elder PNDC colleague in Government that I not resign, the Government could be buying time to have the last say on its own terms. Northern Ghanaian culture, however, insists on respect for well behaved elders so I had no option than to obey the two elders and wait beyond 13th January 2012. But in accordance with northern Ghanaian tradition and custom I briefed Alhaji Iddrisu Mahama, as the most Senior Northerner in the Government on the morning of 14th January 2012 on what transpired at the meeting of 13th January 2012 and the persuasions from his colleague elders and my acceptance to hold on. I also told him of my suspicions of what was in stock for the north, some of which have come to pass. The hard working professional staff of the Attorney-General’s office that had very close working relationship with me will confirm that we reckoned that the Government was buying time to discredit me. It, therefore, came as no surprise to me when the Chief of Staff who was part of the meeting of 13th January 2012 hypocritically issued a press statement to the effect that I had misconducted myself as a Minister. I accordingly sent him a reply on 20th January 2012 and dared him to publish my reply to him and my letter of 6th January 2012 to the public. He has cowardly refused to make any of them public. In view of the deceit and betrayal I have gone through in the hands of the President, how does any one expect me to trust that the Government would not again put further spins on any advice I give it or any information I pass over to it on probity, accountability and transparency discretely. That is why I have chosen to exercise my constitutional right to freedom of speech and also to defend the Constitution in my advocacy for integrity in Government openly and in the public domain. I joined the PNDC Government, became a foundation member of the NDC and later reluctantly became the Vice Presidential candidate of the NDC in 2000. I challenge anybody to show me one public criticism, orally or in writing, which I made in public to the media about the PNDC or the NDC under President Rawlings. But I criticized the PNDC and NDC Governments of President Rawlings very vigorous within by written memoranda and letters. Indeed I was transferred from Bolgatanga to the Ministry of Local Government and Rural Development in January 1986 to prevent me from carrying out my written intention of resigning on account of my objection to happenings in the region. Evidence abounds of my other written advocacy for probity, accountability and transparency through in-house channels for all the period I served under former Chairman and later President Rawlings. I addressed one particular letter to His Excellency, Flt. Lt Jerry John Rawlings, President of the Republicof Ghana, and copied it only to the late Rt. Rev. Bishop Lucas Abadamloora, Bishop of Navrongo/Bolgatanga Dioceses on 3rd June 1999 on the subject matter: “THE STATE OF THE JUDICIARY, JUDICIAL NOMINATIONS AND RELATED NATIONAL ISSUES”. I delivered the Bishop’s copy to him personally at his residence in Bolgatanga on 4th June 1999 and prepared to be sacked. Former President Rawlings has to date never spoken to me about the letter even though he could not have been pleased with it. I send herewith very reluctantly as an attachment my letter of 3rd June 1999 because no living person is adversely mentioned in it and it is in the public interest that the public knows my record in defending the independence of the judiciary and fighting for probity. The Great Leader that former President Rawlings was, he told me once in the presence of Mr. Ebo Tawiah and Nana Ato Dadzie in the latter’s office why he refused to terminate my appointment when a PNDC Member who is now helping President Mills called for my dismissal after he had addressed a letter to me as Martin Amidu, Attorney-General’s Department, Accra without any salutation indicating that he was writing to me as a subordinate officer. In my reply to the PNDC Member I stated that because he had written the letter to me in my personal capacity as a citizen of Ghana, I was also replying to him in his personal capacity as a citizen. I then wrote that as a citizen of Ghanahe had no single right above my equal citizenship of Ghanato write to me in the manner he did. President Rawlings explained that when a subordinate person is bold enough to write the truth as I did to the PNDC Member a good manager ought to know that penalizing the subordinate officer would affect loyalty to the Government. I suspect that those same leadership qualities and understanding of human beings made him to act upon the contents of my letter of 3rd June 1999 without ever talking to me about it to date. It was only at the Catholic Cathedral in about 2002 or so but on the day of Emefa Kpega’s wedding that a former President of the Ghana Bar Association brought to my notice that the late Chief Justice Abban had informed and shown him the contents of my said letter of 3rd June 1999 on the judiciary. I was surprised because in spite of my criticism of the late Chief Justice Abban in the letter he remained on very friendly terms with me until his death. I had the privilege even after leaving office in January 2001 to visit him with the late Alhaji Yakubu Dramani a week before his unfortunate demise. I surely was at his funeral; and I cherish his magnanimity and tolerance of the strong views I expressed about him. There are several excellent reasons why I count myself very lucky to have left President Mills’ Government. When one reads my letter No. XE337/09/8 dated 27th July 2011 for instance one cannot fail to see that it was a letter of resignation (I have deliberately left out the subject matter). I had stated my resignation in the last sentence but I then realized that without giving three months notice I would have to pay my three months salary in lieu, so I cancelled the sentence. I do not therefore have any reasons for bitterness against the Government for exiting it because my letter of 27th July 2011 contained ample notice that I was in the wrong place. The betrayal of trust in not telling the public the truth surrounding my alleged exit is what has made it difficult for me to call the Government’s attention to my views. The Executive of NDC has not to date even found out from me what happened between the Government and myself leading to my exit so I cannot volunteer information to it. The President has been my long standing personal friend before he joined the public service at the Internal Revenue Service. He knows what I told him we should do to win his second term hands down. I am a foundation member of the NDC who sees conflict as offering an opportunity for dialogue, peace-making and reconciliation within an atmosphere that restores trust and confidence. We appear to be engaged in a dialogue of the deaf otherwise the Government and the NDC ought to have known by now that all those foundation members criticizing the Government are indeed genuinely calling for reforms in the Government to enable it win elections hands down. I am not a traitor.